The travel period for availing GoAir's discount offer on domestic flight tickets ends on August 10, 2018. Customers can avail the discount by using promo code 'GOAPP10' on GoAir's mobile app. GoAir airline is offering up to Rs 1,000 discount on its domestic flight tickets. GoAir has partnered with Shopclues to give discount of up to Rs 1,000 on domestic flight tickets. GoAir's offer is valid till March 31, 2018. The travel period for availing GoAir's discount offer on domestic flight tickets ends on August 10, 2018. However, GoAir's special offer is not applicable on travel between February 23, 2018 to March 4, 2018, March 20, 2018 to April 4, 2018 and April 15, 2018 to July 15, 2018, according to the carrier website-goair.in. 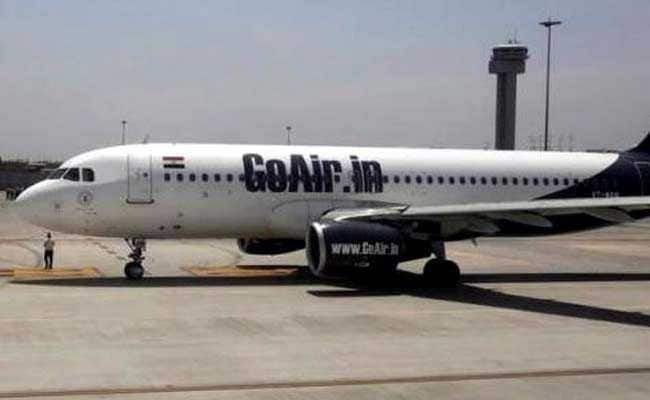 Customers can avail the discount by using promo code 'GOAPP10' on GoAir's mobile app. "With GoAir, it's always a good time to Fly Smart! Presenting a wide range of exciting offers, just for you. GoAir has partnered with Shopclues.com", said GoAir. Under this offer, GoAir is offering coupons that can be used on Shopclues. The coupon is valid on prepaid orders only. According to the carrier, there is no minimum cart value to avail the offer. The maximum discount on coupon usage is Rs 100. 1. The participant must be a resident of India and must be 18 years or above in age, said GoAir. 2. The participant will have to complete the entire contest in all aspect to be eligible for selection as winner, said the carrier. 3. According to GoAir, this offer cannot be clubbed with any other on-going or any new promotional offer. 4. GoAir reserves right to solely decide and select the best, feedback / response as a winner. 5. Disputes, if any, will be subject to Indian laws and shall be subject to the exclusive jurisdiction of the courts in Mumbai. 6. The gratification is non-encashable. 7. GoAir will share the promo codes with customers who book on GoAir.in & Mobile app via email and thereby completes its responsibility. Any change/ adjustment needs to be addressed directly with partner.